Seekh Kebab is a popular Indian appetizer typically eaten with a side of green chutney. These flavorful bites of lamb or beef are made with freshly ground whole spices. Traditionally, they’re made in a tandoor (a large clay oven), but most of us just make them on the grill. “Seekh” just means rods or “skewers.” In most places, seekh is pronounced seek… like, hide and go seek kebab. Seriously, go seek kebab because its good. Bahaha – maybe it should be hide and go eat Seekh Kebabs so that you don’t have to share 😉 Alright, alright – I’m done. Thanks for sticking through that… now, onto the meaty stuff. 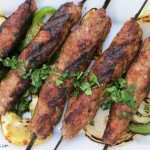 Seekh kebabs can be made with any ground meat – chicken, goat, lamb or beef. You have to finely mince the meat in a food processor, combine it with all of the spices and then wrap the meat onto skewers. After that, just heat up the grill! This kebab is similar to the shami kebab, which is also made of minced meat. 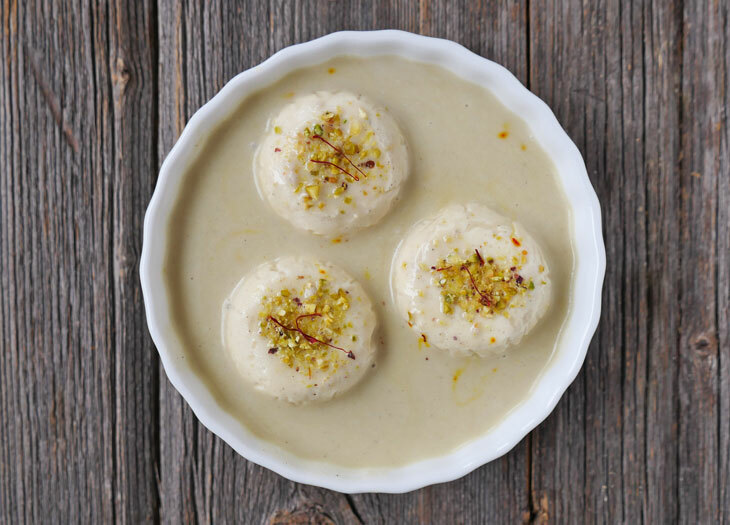 Like my shami kebab and malai kofta recipes, this seekh kebab is part of Mughlai cuisine (aka dishes brought to India by Mughal rulers who traveled from Persia and Afghanistan). Mughlai dishes are some of my favorite dishes because they’re made with whole spices and are therefore awesome flavorful. Prep these skewers in advance, so that they’re ready when you’re ready to grill. 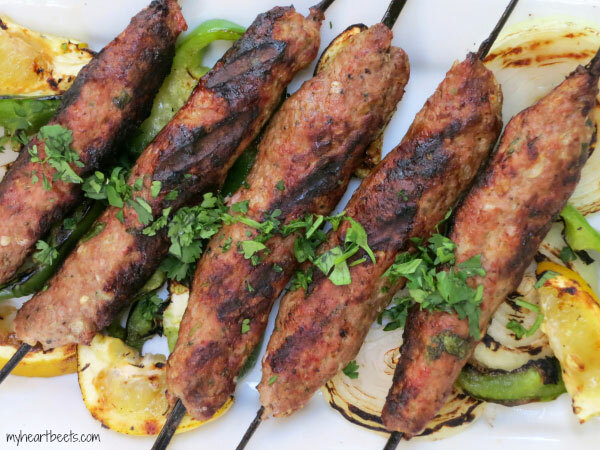 I’ll sometimes eat these kebabs right off the skewer (like a corndog… back when I used to eat those). You can also slice them up and serve them over grilled veggies. They’re especially tasty with grilled lemons. Enjoy! Add the fennel seeds, coriander seeds, and black peppercorns to a spice grinder and freshly grind. Set aside. In a food processor, add the onion and mince. Place the minced onion on a big paper towel (the towel will help absorb some of the water that’s released from the onion). Set aside for now. Next, add the ground meat to the food processor. In a bowl, combine minced meat, garlic, ginger, thai bird chili, freshly ground spices, salt, cilantro, mint and ghee. Grease your hands with a little ghee, grab a handful of meat and roll it into the shape of a sausage – slide in skewer. Turn your grill on and cook over medium heat until no longer pink. Just made these for dinner. It was awesome. 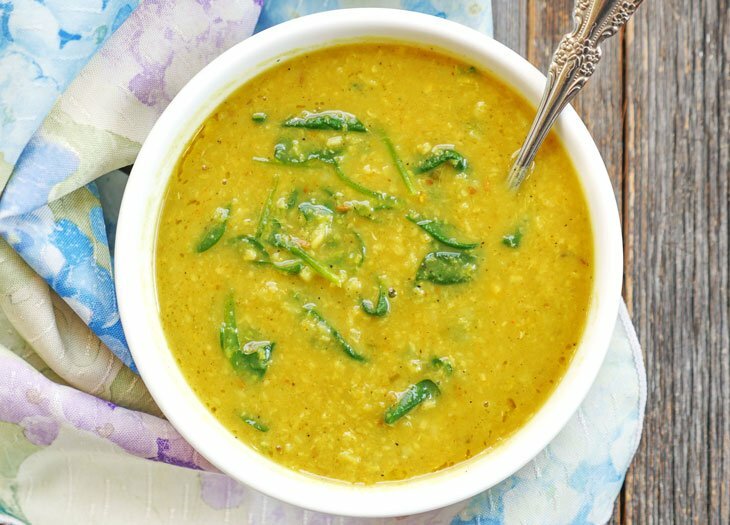 Thanks for sharing this delicious recipe. Daryl, so glad you liked the recipe! Thanks for letting me know how it turned out for you. Ground meat is my go-to for flexibility on busy days. I love this way of using it! Had totally not thought of it before. Kebabs are my favorite! Can’t wait to try these! They look delicious! These look great. 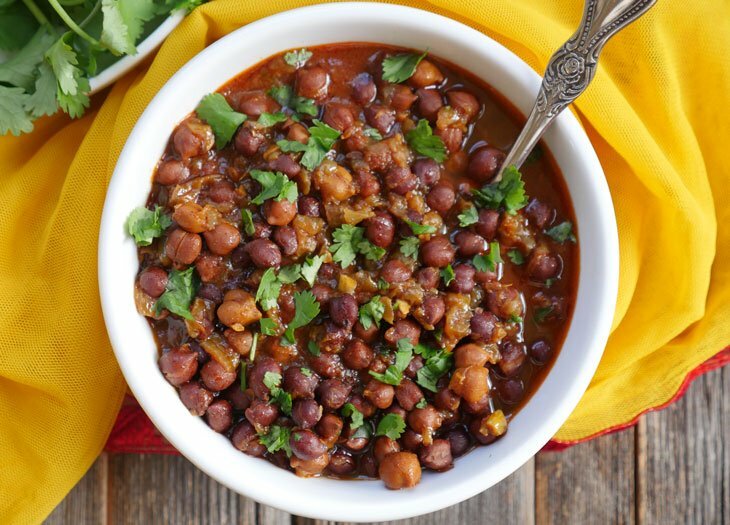 I love Indian food, and I love easy recipes. Win Win! Thanks for sharing! YUM! This sounds and looks delicious! I went to an Indian restaurant in San Francisco today and had some kind of minced beef seekh kebab with fennel. I hope this is the recipe! Maria, let me know if it is! It could also be shami kebab (my recipe doesn’t call for fennel but you can easily add some in). The fresh ground spices are the key here, really makes the mint and cilantro burst out! I got all fancy, and served broiled kebab-sans-stick on a bed of lightly-vinaigrette’d greens with red onion and cherry tomatoes in a 3-ingredient naan wrap, with a yogurt sauce (half a bell pepper, a serrano pepper, some mint and cilantro, and a few sprinkles of salt, pureed with a hand blender) to drizzle over the kebab before wrapping. This one is going to be a regular in our house! Hi – about how many does this make? And if served with your Shami Kebab and a side dish do you think this would be enough for 4 for dinner? Just trying to get an idea if I need to increase the kebab recipes. This sounds delicious! Unfortunately, I don’t have a grill. What cooking instructions would you recommend if using an oven? Tried this recipe today with lamb. It turned out amazing.. just delicious. I am not a big fan of lamb myself and this was the first time I cooked lamb at home. This is my new favorite dish now. I made them on George foreman grill and they turned out juicy and charred. I also made them low FODMAP by skipping garlic and using green onion instead of white onion. Thanks for sharing! !